Updated for the modern home. Including exclusive Bare Metals, Farrow & Ball and Little Greene. A carefully curated range of styles. An unrivalled quality of finish. An unmatched Ironshield Guarantee. Castrads is the world's leading cast iron radiator producer, with showrooms in Manchester, London and New York. Choose a model, build it to the right size for your space and select a finish to suit your interior. Use our online builder, visit a showroom or call on 0161 439 9350 for professional advice. 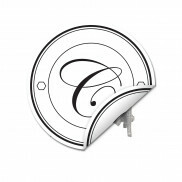 We also offer home visits within an hour's travel from any of our showrooms. 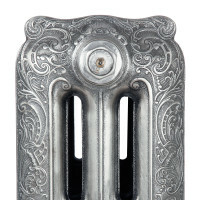 Properly maintained cast iron radiators will last not decades but centuries. 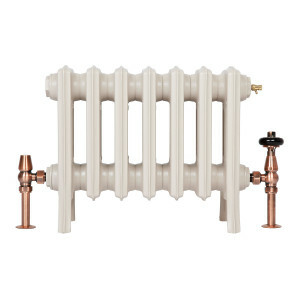 Compare that with a steel panel radiator, which needs to be replaced once every ten to twenty years, and it's easy to see why a cast iron radiator is a sound investment for the future. We build every one of our cast iron radiators at our factory in Manchester where 25% of our electricity is generated renewably and on-site. We use recycled and recyclable packaging where possible, about 90% by weight.